Mila has an exceptional talent for reading a room, sensing hidden facts and unspoken emotions from clues that others overlook. So when her father’s best friend, Matthew, goes missing from his upstate New York home, Mila and her beloved father travel from London to find him. She collects information about Matthew from his belongings, from his wife and baby, from the dog he left behind and from the ghosts of his past, slowly piecing together the story everyone else has missed. But just when she’s closest to solving the mystery, a shocking betrayal calls into question her trust in the one person she thought she could read best. Mila and her father Gil had planned to see the sights of New York and visit his oldest friend Mathew, but one phone call from Mathew's wife Suzanne has turned the visit into somewhat of a mystery. Mathew has disappeared, left his wife and little boy Gabriel and walked out of his own life, even knowing his oldest friend was flying all the way from London to visit. Mila has no option but to tag along, seeing her mother will be working in Holland for the next week. With only being able to text message best friend Cait and the occasional call to her mother, Mila starts sending text messages to Mathew, hoping to find where he's gone and put her father's mind at ease. But most messages go unanswered. When Mila and her father arrive at Mathew's family home, the first thing she releases that, this isn't a happy house. Suzanne is highly strung, with a toddler to care for and Mathew's dog honey that he left behind. Honey is pining for her master and it's clear that Suzanne wants the dog gone. So when Suzanne suggests that Mathew may be hiding out in his small woodland house near the Canadian border, Mila and her father take Honey along on the road trip to find her missing master. Mila has always been great at mysteries, but the pieces of Mathew's disappearance just aren't adding up. Mathew has always been a daredevil, and while he and Gil were climbing the Lauteraarhorn in Switzerland, Mathew saved Gil's life. The two formed a strong bond, and although they may not be as close as they once were, why wouldn't Mathew tell his oldest friend if he were in trouble? Gil and Mathew both fell in love with the same girl, then both moved on and married their now spouses. But Mathew lost a child. Owen was killed in a car accident in which Mathew was driving, and has created a void between he and his wife. But how can he have left fourteen month old son Gabriel? When they reach the small cabin, another part of Mathew's life unravels, a life that not even Gil had the privilege of knowing. How do you find someone that clearly doesn't want to be found? But someone knows where Mathew is. It's a road trip of revelations and self discovery... And the search for the perfect easter egg. 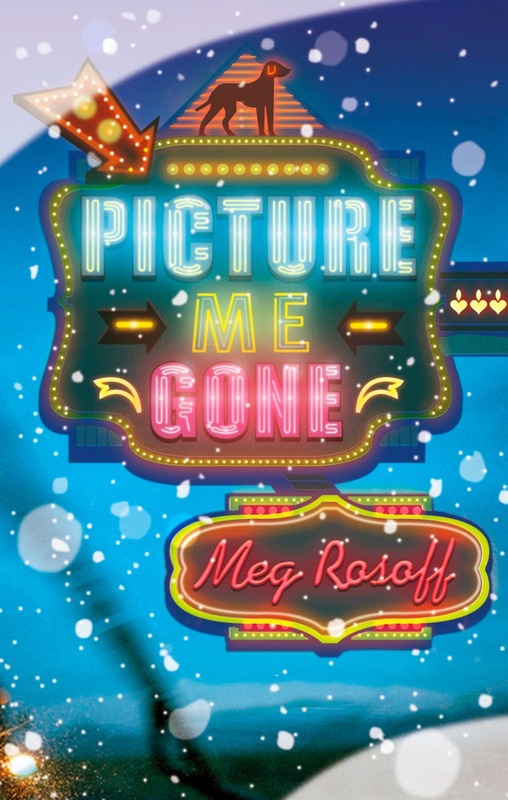 Picture Me Gone was a quirky book about self discovery, mystery and how our lives are woven through our actions and consequences. Mila is a beautiful and inquisitive girl, with a offbeat inner monologue. She's intuitive and picks up on subtle differences, emotions and quirks that most of us wouldn't notice. She doesn't share a connection to the missing Mathew, apart from him being her father's friend, but her adventure ensures that she's woven into the lives of those around him, which makes her but another piece of the puzzle that is Mathew. The secondary characters are really intriguing, but far too fleeting. 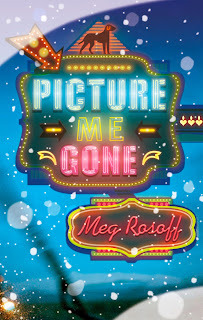 I sense there is a hidden lesson or social message behind Picture Me Gone, but I just couldn't figure out what it was. It's just a quirky adventure in the same vain as John Green or Rachel Cohn. Short and entertaining. Hey Cait, lovely to see you again. The story is a strange one, which didn't really allow for character development beyond the main characters of Mila and her father. It felt as though I was missing something, like a lesson or hidden meaning to the storyline, but I just couldn't figure out what it was. Maybe I'm just reading too much into it. If you get around to reading this one, I'd love to see what you think.